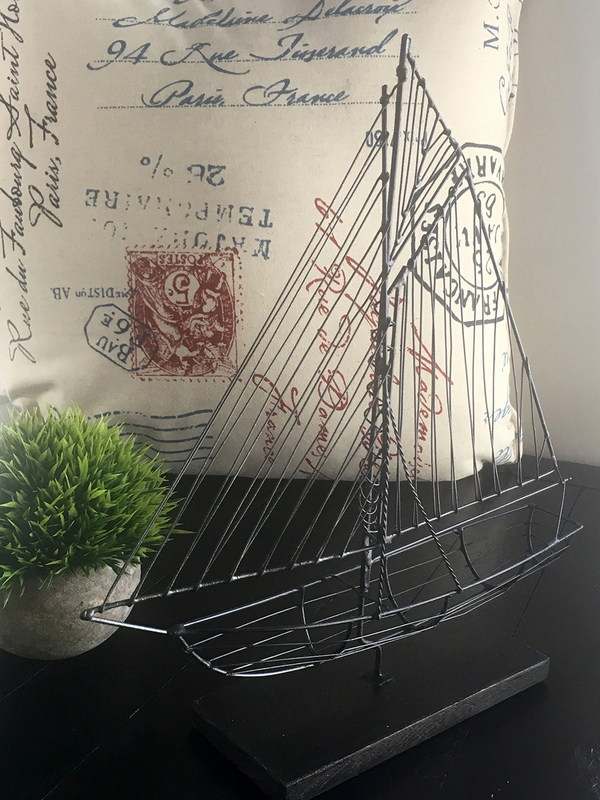 Why limit your nautical themed room with just pictures on the wall? 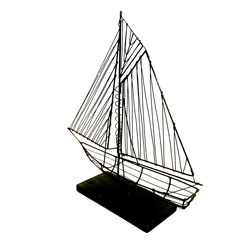 Set sail with this highly detailed and dimensional sculpture of a sailboat. 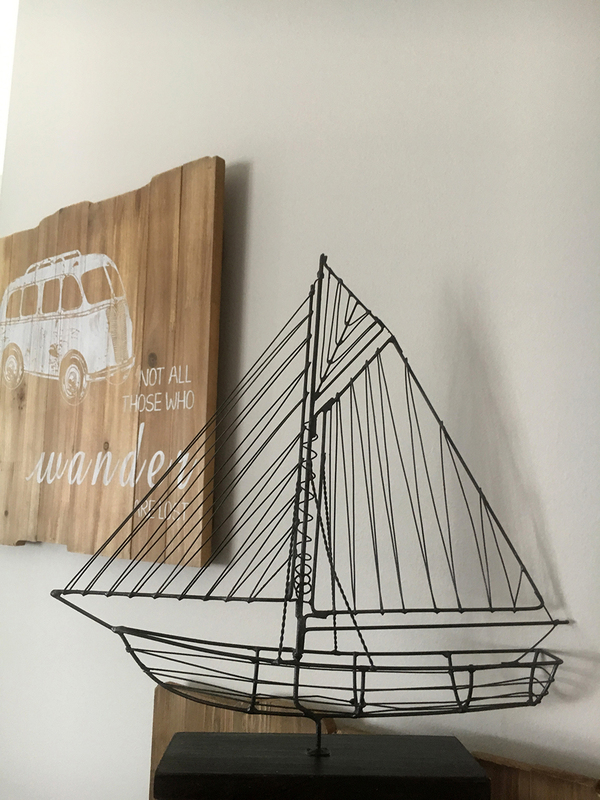 Each wire representing the sail is looped by hand around the mast of the ship and then welded into place. 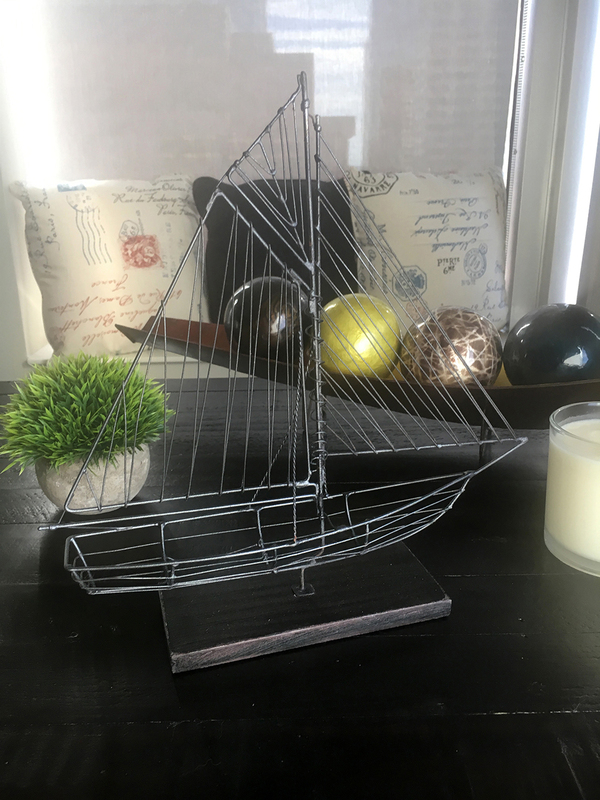 With a gunpowder gray finish and the time-consuming process of manipulating the individual wire pieces, this sailboat adds depth and detail that is a must have for your seafaring space. The sailboat is constructed by hand using several different gages of wrought iron wire. 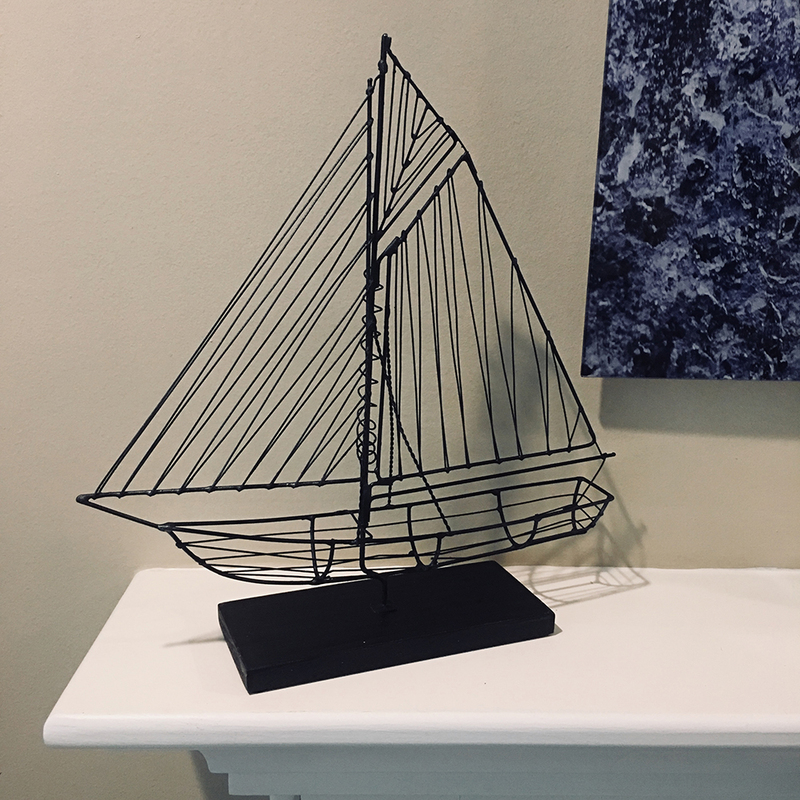 There are nearly 120 strands spot welded together to give the depth and dimensionality to this piece. It is then painted by hand and finally set to rest on a wood composite stand, which is finished with a dark brown wood stain.